Electric bike – the future starts today! Technological development of mankind is booming. And sometimes, successes seem to be very, very weird. Even something that seemed completely impossible yesterday, today – has already become a reality. Examples are the various gadgets and Device, audio and video of the new generation of advanced computer games, cars with a different e-filling. The list is endless. But there is one more example – the electric bike. They say that the fuel of the future will surely be electric power. Many automakers are getting ready for this – serial electric vehicles confirmation of this. But if you change seats on the electric “green” cars – something for the future, here’s electro bicycles – already a reality. Today the bike – it is not only a means of transportation, this is a whole philosophy. What could be more environmentally friendly than a bicycle? Well, maybe walking. But if you equip it with an electric motor to give some kind of scooter, you get a very compact and very convenient form of transport. The fact that the electric bike has all the trumps in his pocket to gain popularity – I think nobody would deny. He is pretty easy, agile, and when necessary, for example, to overcome the rise – come to the aid of electric traction. A flat areas can be overcome by means of pedals. You can also move through an electric motor and pedals – here’s a hybrid in action. Even if you’re an amateur cyclist, then travel at speeds up to 35 kilometers per hour – pretty easy. Bicycles are becoming more and more sophisticated. Changing the materials of manufacture, they are lighter and stronger. It is not just bikes, but works of art. And that is especially valuable that the electro bicycles currently is one of the most affordable types of hybrid vehicles. Electric bike can be attributed to a particular type of movement. This is not just a normal bike or scooter with a gasoline engine, it is something separate. The management of electric bike do not need a driver’s license, insurance and receipt of registration numbers. And this is important for the buyer. The main components of design are the electric bike motor and battery to full charge is needed from 2 to 8 hours depending on the model. 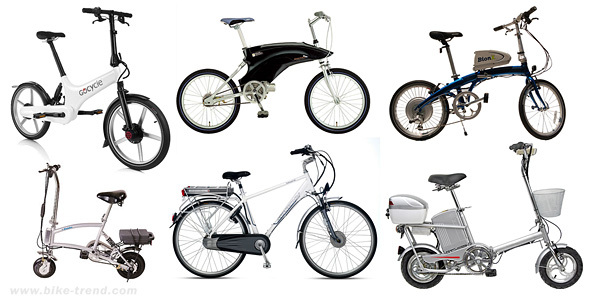 Advantages of the bicycle with an electric motor a huge amount. One of them – ease of maintenance. Judge for yourself – for charging the battery enough to use a standard wall outlet. If, however, when driving the battery is discharged, it is possible to get home as an ordinary bike. Electric bike – a real “green” mode of transport, which is absolutely friendly to the environment. In the 21 century, we no longer have to reinvent the wheel, but worth it just to upgrade and improve. Currently, electro bicycles have become part of the work done. With them, the future starts today! i want your located showroom in saudiarabia. plese sent price and dealer locate. I am opposed to electric bicycles. Must be the spirit of sportsmanship and how to achieve it when the bike you myself lucky. It would not be a sport in my opinion. The most important thing to use this miracle of technology – complete security for both the man and the environment. Convenient and compact form of transport.